Hockey jerseys would not be the same without pro-twill names and numbers. 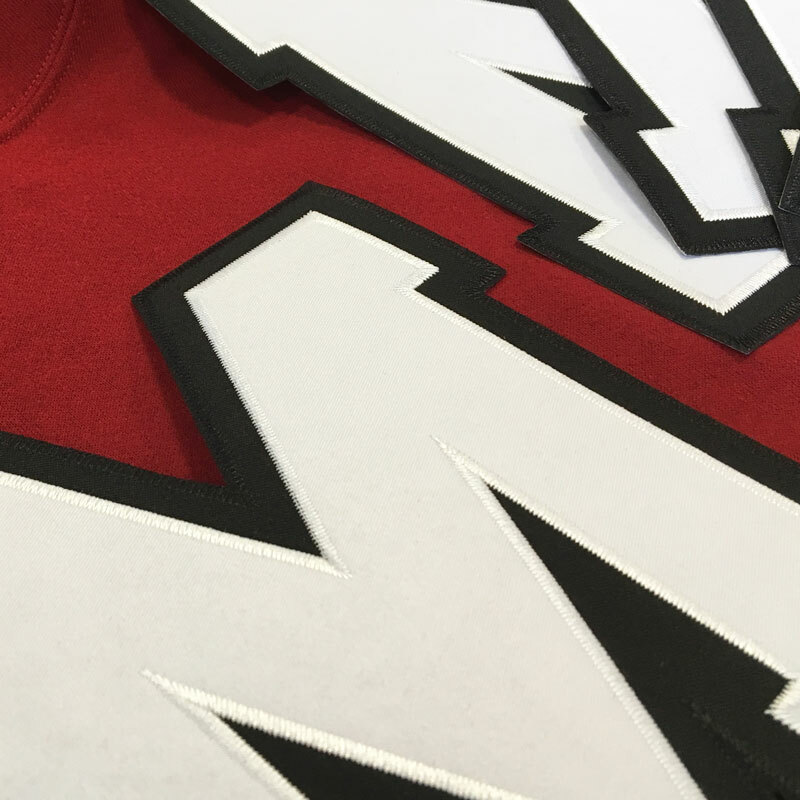 When you want to truly complete the look of your professional hockey jerseys, pro-twill is the clear champion. Pro-twill is also the ultimate choice for your varsity apparel, capturing the true essence of vintage college gear. There are a few options when it comes to pro-twill: true stitch to garment, pre-stitched edges that are heat applied, and simulation stitch, which is a laser cut number with laser markings to create the illusion of stitch marks. These options are truly the most attractive solutions for hockey uniforms. Large front logo for hockey Jerseys or Spiritwear.